THE national ice hockey team is facing a challenging path in preparing for upcoming competitions, especially for this year’s SEA Games, which will see ice hockey being played for the first time. Not having a proper sized ice rink that can accommodate to their training needs is the biggest concern, right next to not having proper matches in accordance with international standards. But under the circumstances, national coach Kristof Kovago is content with the team’s progress during the past few weeks. The Hungarian preparing the squad for this year’s SEA Games said the team had vastly improved its speed and teamwork since returning from a training camp in South Korea last month. Kristof said the aim was to become competitive for upcoming events such as next month’s Asian Winter Games (AWG) in Sapporo, Japan, and build up with more competitions before the SEA Games in August. “I was pleasantly surprised that the players were able to hold up during the intense training. Some of them fell ill due to the colder climate but there was only one case of serious injury,” he said about the training and friendly matches with South Korean schools teams and clubs from local leagues. “The temperature was around minus three degrees Celsius, which is what the AWG will be like,” he told StarMetro before a training session at the Icescape Ice Rink in IOI City Mall, Putrajaya. He added that while some players had gone for training overseas on an individual basis, it was the first time the players went for a camp as a team. “Imagine, some of them had never even played a five-on-five game. “They didn’t know how to use the fifth person. They were also not used to full-contact games and playing with proper stop time because we cannot get enough ice time here,” he said. Lack of proper games, training and teams willing to play full-contact ice hockey means their form has been on a plateau. For now, they can only keep on training. “Over there, we were able to watch and analyse the videos of our games but we cannot do that here because we don’t have proper games. The players and I, we grew a lot from that camp. “I think we are behind where we should be at the moment, but if the new Olympic-sized ice hockey rink in Empire City Damansara opens in time, we have a chance to catch up,” Kristof noted. 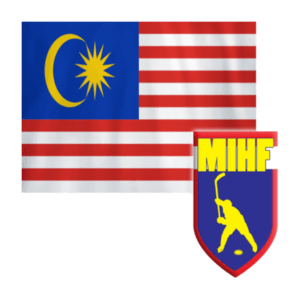 For the coming Winter Games, Malaysian Ice Hockey Federation has been able to line up friendly games and practice sessions a few days before the tournament. “Right now I am working on their drills to get them comfortable on the ice so they can focus on teamwork when the time comes. “Obviously, everybody wants to win, but our goals are a little bit different. To me, the AWG is more of a stepping stone to gain more experience and for the players to learn to play as a team,” Kristof said about expectations for the team in Japan. “It is also means more exposure to full-contact five-on-five games, which will be helpful in preparing for the SEA Games. At the same time, we want to do well against teams like Indonesia, Macau and Iran. He added that it would be difficult going up against teams that field imported professional players for the upcoming games but Kristof remains optimistic. “You’ll never know, this is ice hockey and anything can happen. “Ultimately, we have to get ourselves competitive but if we don’t get enough matches before the SEA Games we will not be able to do that.